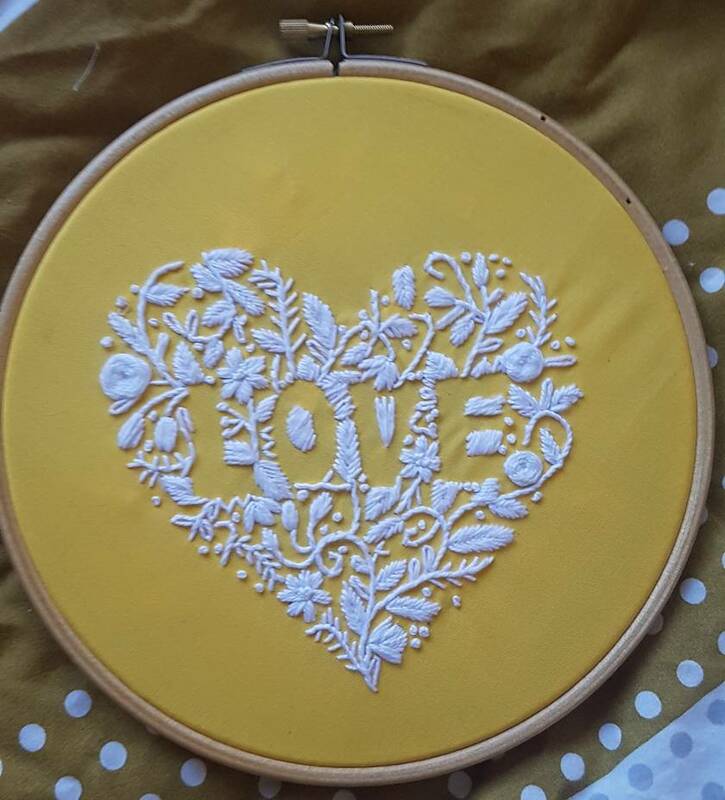 "Love" hand embroidery on yellow cotton. Hand stitched by me in New Zealand. Framed in a 15cm hoop and backed with felt ready to hang and brighten up any wall.